This hybrid is from a cross of Neelum and Alphonso. Tree moderately vigorous, precocious, fruits are medium sized, attractive in colour and free from spongy tissue. The mango tree is a long lived one. The mango tree is ever green - with a dense canopy. It should be planted at a minimum distance of 8 -10 meters between two plants. 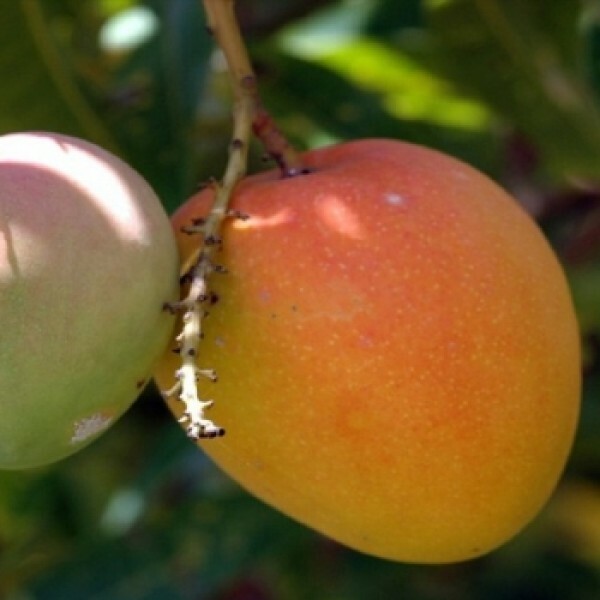 Mango trees require full sunlight to fruit well. It will grow in lesser light but not fruit well or may not fruit at all. This is a fruit of Indian origin. They are delicious, nutritious and wholesome. Live Mango Ratna (grafted) Fruit Plant along with plastic pot. Plants height with pot is 1.5 to 2.5 feet and pot size is 5 inches dia. This hybrid is from a cross of Neelum and Alphonso.